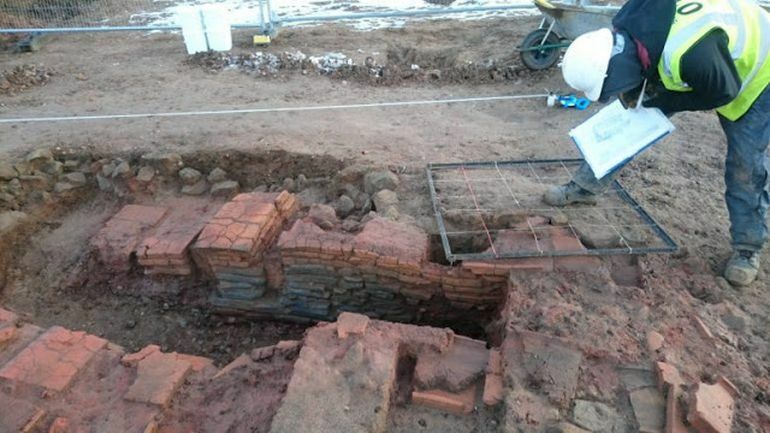 Like very many recent examples, an ancient structure has been uncovered during modern building works. The site in question here pertains to the Banbury Road in Warwick, England, where a construction is undergoing for a school, as a part of Project One Campus. 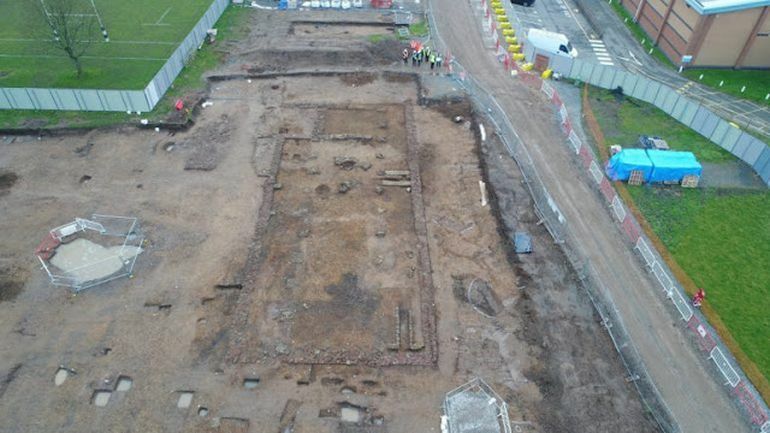 Quite fortuitously, the Warwickshire County Council’s team of archaeologists came across evidence of a previously unknown Roman villa in the vicinity, after they were contacted by the project authorities. And after excavation, the area revealed an aisled structure which has been compared to the size of a medieval church, thus making it the largest ancient building identified in the region. The building probably forms a component of a large villa estate, which must have spread along the banks of the Avon and been connected to the Roman road system. Early indications suggest it developed in the 2nd Century AD and probably went out of use in the 4th Century. This new discovery will put Roman Warwick firmly on the map. The villa in itself was built of locally quarried sandstone, and measures around 28 m x 14.5 m (or 92 ft x 48 ft or 4,376 sq ft). Interestingly enough, the archaeologists also located ovens for drying corn (a blanket term for cereal crops) that were found both inside and outside the structure. This essentially indicates a setup of an agricultural estate, though the structure in itself was also segmented into different domestic spatial zones. Very rarely do archaeologists discover a new villa, and this fantastic building could never have been predicted. Thanks to the Warwick Independent Schools Foundation and their construction team, Speller Metcalfe, who have gone out of their way to assist us, we can now start to build a better picture of Roman Warwick. This is an exciting find and an invaluable experience for the schools, with pupils and staff having had opportunities to see the excavations at first hand. The County Archaeologist’s team have been only too happy to share their enthusiasm and worked with us to ensure the find has not had an undue impact on POC (Project One Campus) progress. The find will become part of the history of the new school building and of the Foundation as a whole and will, we hope, inspire budding archaeologists for generations to come. And lastly, the good news for history enthusiasts is that the remnants of the Roman villa will be preserved even after the completion of the new school campus. In fact, the historians and the related authorities are planning to incorporate the ancient 1,900-year old structure into the future curriculum scope through exhibitions and educational tours.